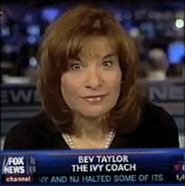 Bev Taylor is a college counseling expert and the Founder of Ivy Coach. In a sea of thousands of private college counselors, her name is synonymous with helping students beat colleges at their own game and earn admission to the colleges of their dreams. Read an article over the years in an Ivy League newspaper on the breakdown of an incoming class and you’ll likely find a quote from the Dean of Admissions that makes for great PR for the school followed by a quote from Bev that filters out the spin. From debunking the myth of need-blind policies to calling for an end to Asian American discrimination in admissions, over the last quarter of a century, there has been no more outspoken, ubiquitous, and candid a voice in highly selective college admissions than this trailblazing authority. Bev, a former long-time high school college counselor at Massapequa High School on Long Island, is a member of the National Association for College Admissions Counseling (NACAC). She regularly conducts workshops on college admissions — presenting seminars to school counselors, admissions officers, students, and parents at Columbia University, the Johns Hopkins Center for Talented Youth, the National Association for College Admissions Counseling, Peterson’s, NYSACAC, NJACAC, College Week Live, and more. For those parents and students interested in working directly with Bev, know that she works with only three students every year. And in just about every case, she subsequently works with the client’s younger sibling, too. So her availability to prospective clients is limited — but a possibility depending upon the year. For nearly 15 years, Brian has been helping students at Ivy Coach gain admission to the highly selective colleges of their dreams. 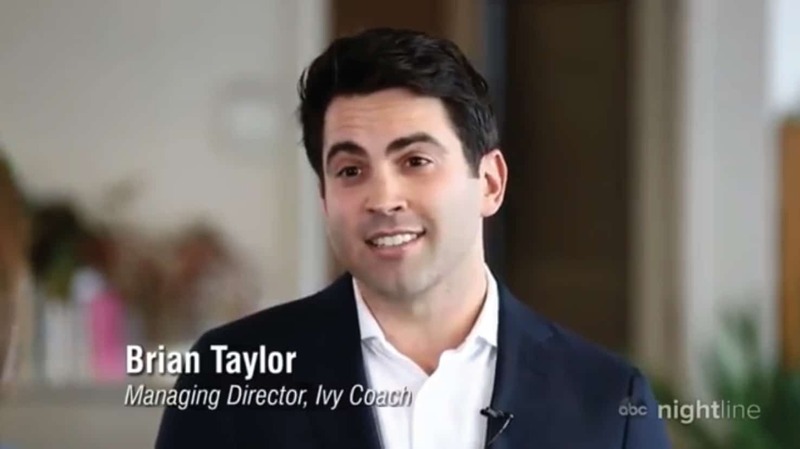 The son of the Founder of Ivy Coach, Brian, a graduate of Dartmouth College with a degree with honors in psychological and brain sciences, grew up immersed in the business of highly selective college admissions and built this business at his mom’s side. If you’re a regular reader of the most widely read college admissions blog, it’s Brian who oversees and writes much of this content, serving as a tell-it-like-it-is, keep-everyone-honest, prominent voice in highly selective college admissions. In fact, when Ivy Coach hires former admissions officers from Ivy League colleges, it never ceases to tickle us when they tell us that the blog is read in just about every admissions office over morning coffee. Read an article these days on college admissions in “The Daily Pennsylvanian,” the newspaper of the University of Pennsylvania, and you’d be hard-pressed to find Brian not quoted, sharing insights on topics ranging from the impact of connections in admissions to why to choose the Ivies to who qualifies as an underrepresented minority applicant. Read his quotes in “The Brown Daily Herald,” the newspaper of Brown University, on college rankings. Or in “The Yale Daily News,” the newspaper of Yale University, on the subject of the redesigned SAT or why Yale’s applications dipped one year. Or in “Barron’s” on the topic of college tours, “The New York Times” on summer courses or first generation status in admissions, “Bloomberg” on college waitlists, “Le Monde” on how great grades aren’t enough, or “BuzzFeed” on Asian discrimination in admissions. And watch him on ABC’s “Nightline” discussing a major college admissions scandal. You get the idea. So much of the highly selective college admissions process comes down to a student’s ability to share his or her unique story with admissions officers. Brian is a gifted storyteller, even dabbling in Hollywood in the college admissions offseason. In fact, he works with some of the most gifted storytellers of our time. He is an Executive Producer of the Showtime series “Good Lord Bird” based on the National Book Award-winning novel by James McBride and previously ran Kelsey Grammer’s company for Lionsgate Television. Brian has set up a show based on the tenets of “Freakonomics” at NBC with renowned economist Steven Levitt and Stephen Dubner, a show based on F. Scott Fitzgerald’s “Diamond in the Sky” at ABC with Pulitzer Prize and Tony-winning playwright David Auburn, a show about the Underground Railroad at FX based on a novel by James McBride, a show about the first mystery in American history at MTV, and many more. It is the sincere opinion of Ivy Coach that most private college counseling firms don’t know how to help students write well and, in many cases, they don’t know how to write well themselves. Brian’s exposure to the storytelling and craft of some of the great writers of our time has proven instrumental in how he helps Ivy Coach’s students — through his unapologetic, straight-shooting approach, present themselves in the most interesting way possible to admissions officers. Hollywood is about storytelling to folks with limited time and attention. So too is college admissions. Each year, Brian also works with select veterans of America’s military on a pro bono basis to help them gain admission to the colleges of their dreams. Lori Sundberg evaluated applications for undergraduate admission at Princeton University as well as at Johns Hopkins University. She holds a Ph.D. from the University of Pennsylvania in Germanic Languages and Literature. While pursuing a graduate degree at Johns Hopkins, she was hired as an application reader for incoming freshmen, a role she continued at Princeton. Like Bev and Brian, Lori too has a tell-it-like-it-is approach to helping our students at Ivy Coach earn admission to the highly selective colleges and graduate schools of their dreams. Check out Lori below on HBO’s “Vice News Tonight” discussing some of the ins and outs of the admissions process.